If two hands are better than one, then two hand-tracking SDKs must be better than one as well. 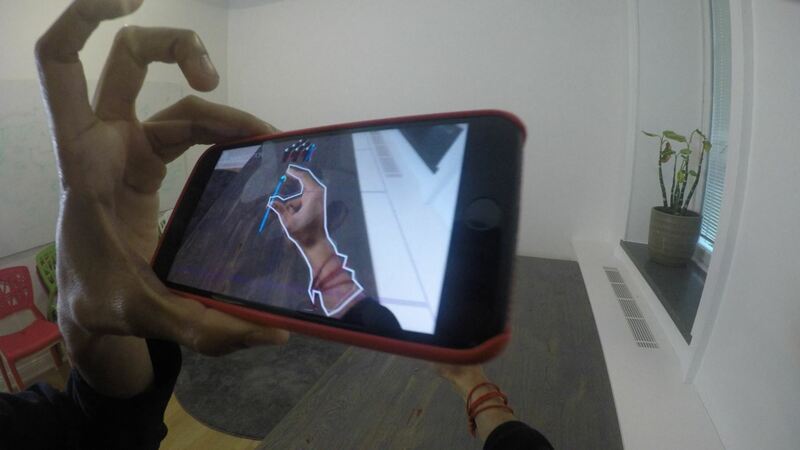 After uSens announced its Hand Tracking SDK at the Augmented World Expo in Santa Clara on Thursday, ManoMotion unveiled the latest version of its own SDK. Both technologies give apps the ability to track hand gestures with just a smartphone camera. ManoMotion SDK 2.0 brings support for skeleton tracking, a capability the company demonstrated in Aug. 2017, whereas earlier versions of the SDK only tracked core points, such as fingertips and the center of the palm. In case you were wondering, the uSensAR Hand Tracking SDK also boasts skeleton tracking. "Over 2,500 developers have applied to use our SDK to incorporate hand gestures into everything from video games to UI control to control of appliances such as lighting, and so much more," said Daniel Carlman, CEO of ManoMotion. "Due to our team size we have been limited in how many customers that we initially could handle. We are now better staffed and more able to meet the demand for the latest version of the SDK." The new version also brings rotation support for landscape and portrait layouts, and layering support, which enables apps to understand the position of virtual objects relative to tracked hands. While the SDK works with just a smartphone camera, ManoMotion has supplied support for gesture controls on depth sensors as well. And because two hands really are better than one, ManoMotion has added support for tracking two hands in real time. ManoMotion manages to provide all of these features without commanding a heavy load on CPUs, memory, and battery consumption. The SDK supports iOS and Android apps as well as the associated ARKit and ARCore toolkits, along with a Unity plugin to support development for apps on other platforms. Alongside the updated SDK, ManoMotion will be launching a set of sample apps to give developers an assist in getting familiar with the platform. The SDK app will give users a general demonstration of the functionality of the ManoMotion's tool. The Remote Guidance app, which will be available in the App Store soon, shows how technical support experts can give a virtual helping hand in remote support scenarios. Rounding out the suite will be two games, an ARKit-powered Drawing app, a la Just a Line, and an app called Magestro, which will challenge players to control Nanoleaf lights with hand gestures. The ManoMotion SDK is a freemium service, with escalating tiers based on customer needs and custom solutions for larger shops. Developers can sign up for priority access via the ManoMotion website.